Cannat was part of a group accompanying professional and amateur astronomers on board three Dassault Falcon 7X executive jets that flew in the narrow zone where totality of the eclipse could be observed, from southern Greenland to the geographic North Pole. 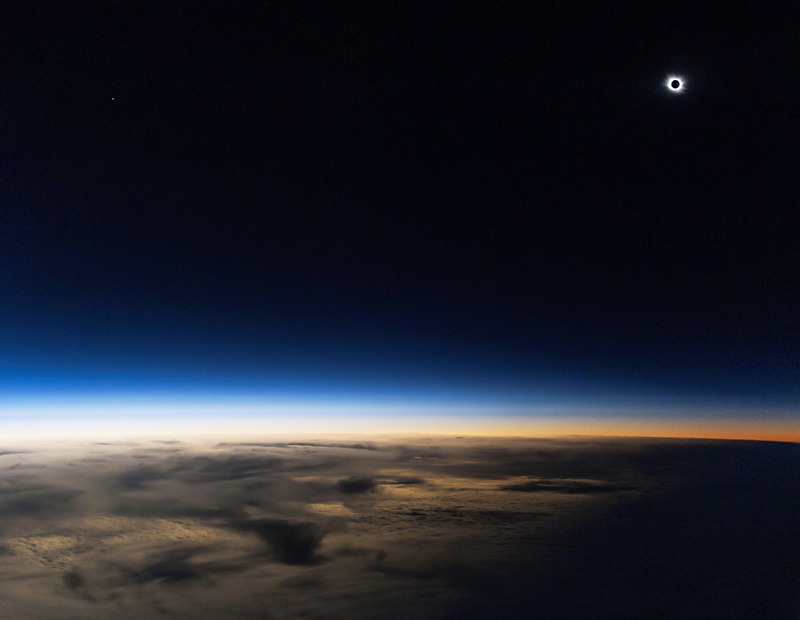 Traveling through the stratosphere provided the unique opportunity to watch the total eclipse without atmospheric turbulence — which improved the view and the ride. And flying at speeds near Mach .9 also “lengthened” the view of the eclipse to over a minute. 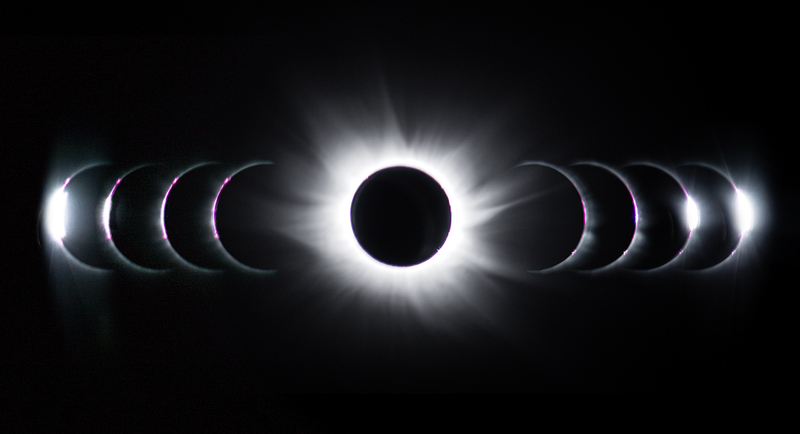 A montage of photos from the March 20, 2015 solar eclipse, captured at 14,000 meters from a jet. Credit and copyright: Guillaume Cannat. Read Cannat’s full account (in French) and see more images at two posts at Le Monde here and here. Our thanks to Guillaume Cannat for sharing his images with Universe Today. “And flying at speeds near Mach .9 also “lengthened” the view of the eclipse to over a minute”. On the video the eclipse lasts about 3 min 40 sec, so flying in the jet “lengthened the view BY over a minute”. Sublime. Always exciting to see “new frontiers” explored and shared. We live in magical times of accelerated higher awareness and technological achievement. Kudos to Xavier Jubier and team.